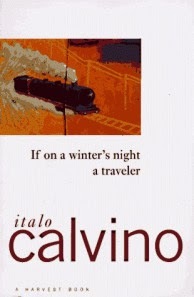 You are about to begin reading Italo Calvino's new novel, If on a winter's night a traveler. Relax. Concentrate. Dispel every other thought. Let the world around you fade. Best to close the door; the TV is always on in the next room. Tell the others right away, "No, I don't want to watch TV!" 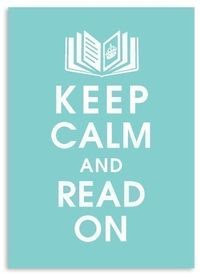 Raise your voice - they won't hear you otherwise - "I'm reading! I don't want to be disturbed!" Maybe they haven't heard you, with all the racket; speak louder, yell: "I'm beginning to read Italo Calvino's new novel!" Or if you prefer, don't say anything; just hope they'll leave you alone. That has to be one of the most unusual openings I've ever come across. After a few chapters, I'd say this is going to be a strange and wonderful reading experience. 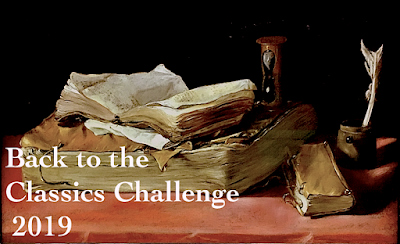 If you'd like to join us, the #ReadCalvino adventure is just beginning. That is an unique opening. I can relate to "I'm reading and don't want to be disturbed!" Nise' - I'm pretty sure all of us have felt like that at one time or another! Oh man, that DOES sound strange and exciting! I have this book on my TBR shelf already and now I'm really eager to get to it. Trish - It's been quite an unique experience so far. I love the opening...because it's so different, I'd have to keep reading! I'm also intrigued by the title...where is this novel going? ah, when you discover even where the title is going to, you will love it! Catherine - This is very different from anything I've ever read! The beginning is beautiful and so unique. I could have kept reading. Tea - Unique is the perfect word for this one! Wow! That opening blows my mind....and makes me want to curl up with this book now. Thanks for sharing....and for visiting my blog. Enjoy! Laurel-Rain Snow - Isn't that opening amazing?? I'd keep reading. The author really knows how to get the reader's attention! It's such an unusual opening. Literary Feline - The next couple of chapters are just as unusual. Paulita - Stuff like this usually turns me off, so I'm surprised by my initial reaction. After such an interesting and different opening I would certainly keep reading. I might join you if I am able to but, either way, I'm looking forward to your posts about the book. Wow, great opening -- it breaks right through the fourth wall, doesn't it. This book has been on my TBR list for a million years. I am looking forward to your full review! That was a fantastic opening. I'll be honest: I thought you wrote it as a lead-in to this fabulous first paragraph /book you wanted to tell us about. Now that I know how the book starts, I want more. I'm not sure if my schedule will allow me to join in, but I'm going to check it out. Margot - You know, I wasn't quite sure whether that was the actual book when I started either! Now I would have never considered this one previously, but -- wow -- now I would keep reading - very different. thanks for joining us. Diane - Definitely unlike anything I've ever read... can't wait to see where this is headed. when I have time, I will actually re-read it! I loved it so so much, this is such a smart book. 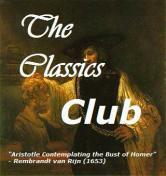 I have to say I really enjoy post-modernist books, and this one has to be one of the best in its kind. I read another one by Calvino too, Invisible Cities. Emma - I'm so glad to know you loved the book. This type of writing usually turns me off, but I am strangely drawn to Calvino. Very intriguing! And a new author to me. Will have to look him up. Peggy - This is my first time reading Calvino. It' so strange, but I really like it. Will be curious to see how I feel after a few more chapters. I loved the opening so much! I've never read anything like that, but it ccertainly got me in the mood to start the book! Melissa - This is very different from anything I've ever read! Judith - This is a very unusual book... and very wonderful, too! Curiously I read this book years ago and spent quite a bit of time feeling baffled by it...and I don't remember this remarkable opening at all. Brona - I was quite baffled by the whole thing and decided to just sit back and enjoy the language and flow. Still not exactly sure where it's going, but what an interesting ride!